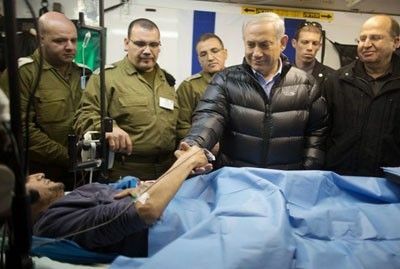 Prime Minister Benjamin Netanyahu pays a visit to a military field hospital in the Golan Heights where "Syrian rebels" receive medical care. Syrian authorities, in cooperation with the locals, ambushed a car loaded with weapons and medicine in the western countryside of Sweida province, coming from the eastern countryside of Daraa and heading for ISIS terrorist organization in the eastern Badiya. 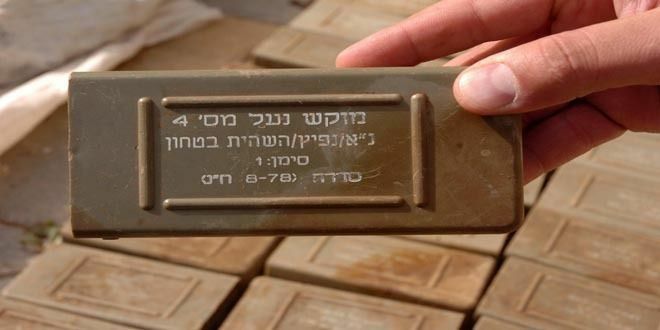 The confiscated munitions included Israeli-made: anti-personnel landmines, an RPG launcher and rounds, B9 shells, 120 mm, 80 mm and 60 mm mortars, grenades and 23 mm machineguns rounds, according to the source, who noted that the terrorist driver was killed. 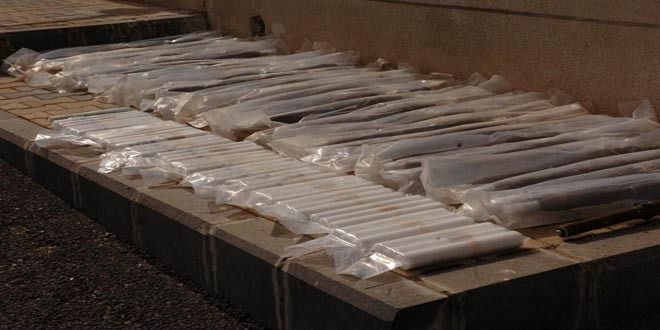 A week earlier, authorities in Sweida seized a large amount of medicines that were bound for terrorist organizations operating in the eastern countryside of the neighboring Daraa province. 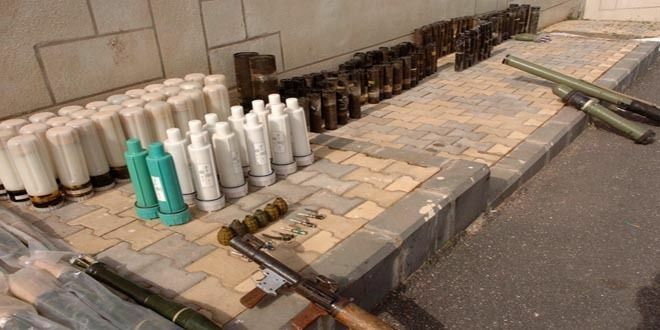 On April 18th, the popular defense groups in Sweida confiscated a car loaded with big amounts of RPG rounds and other shells that was on the way to terrorists in the eastern desert (Badiya) of Sweida. The Times of Israel reported in Aug 2014 that Israel works with Syrian Rebel Commanders to provide these items. So Israel is working with their enemy? They had to have known that would get in to Isis hand and Syrian govt hands. STOP giving Israel assistance! So Israel is working with their enemy? ISIS hasn't ever really attacked Israel. Convenient, don't you think? The Islamic State claims that they are not focused on attacking Israel because it does not believe the Palestinian cause is more significant than other issues affecting Muslims, and should focus first on toppling the Arab regimes. ISIS is destabilizing Israel's enemies. I think calling them "enemies" is a bit of a stretch. Glad they were caught and confiscated, shudder to think what they were destined for.